Mayo is abhorrent, disgusting, inedible garbage that belongs in the trash. There is no situation or application in which mayo is acceptable. It doesn’t deserve to exist and I hate it with my very soul. It is pure evil and an attack on anything good in the world. And I am only slightly exaggerating. Mayo is wonderful, pure, heavenly, tantalizing greatness that belong in all households and food oriented establishments. Every situation I can apply it is acceptable. It certainly must be preserved and treasured beyond all condiments and I love it with my very soul. It is pure good and cannot be classed amoung anything evil in the world. And I am serious. But put it on a nice burger or chicken sandwich and delicious, meal of the Gods. No it is absolutely vile, like I'd imagine troll bogies to be. Why anyone would willingly consume this is beyond me. Hellmans or bust. This **** is amazing. 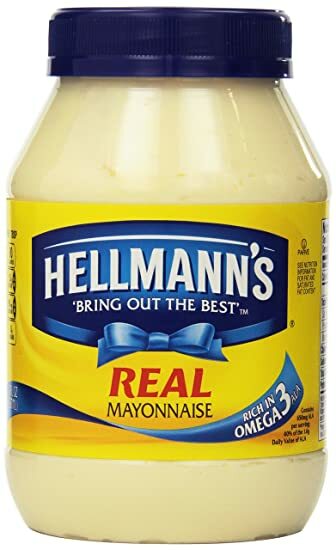 You can't say you've tried mayo unless you've had this brand. Gimme dat egg slime on a BLT with a fried egg. yo, may-no bro, so just go.